In 1989, I made this heart inspired quilt for my dad when he was having a pace-maker implanted. 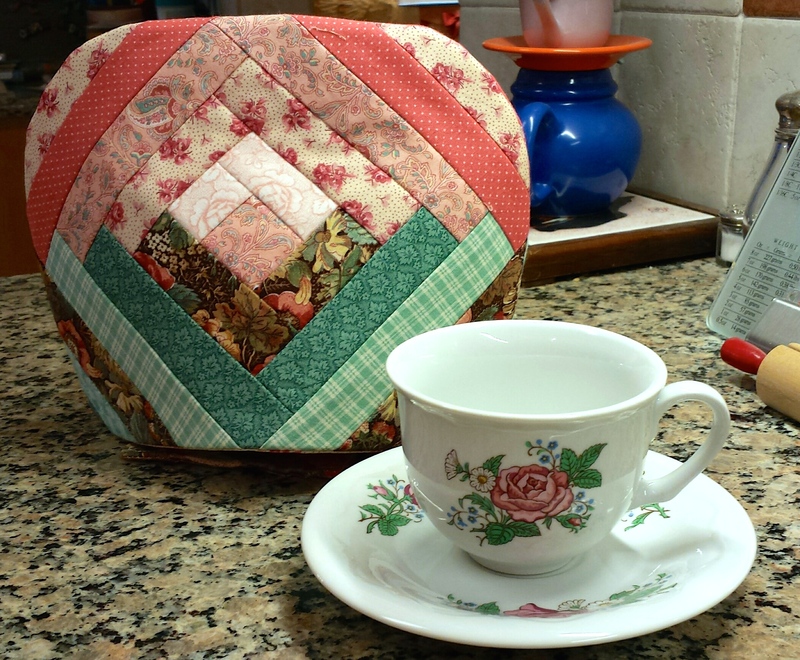 Twenty-five years later, I revisited the fabric scraps and mixed them with other scraps to make this tea cozy! Combine the strip quilt method here with the tea cozy instructions here to make one of your own! 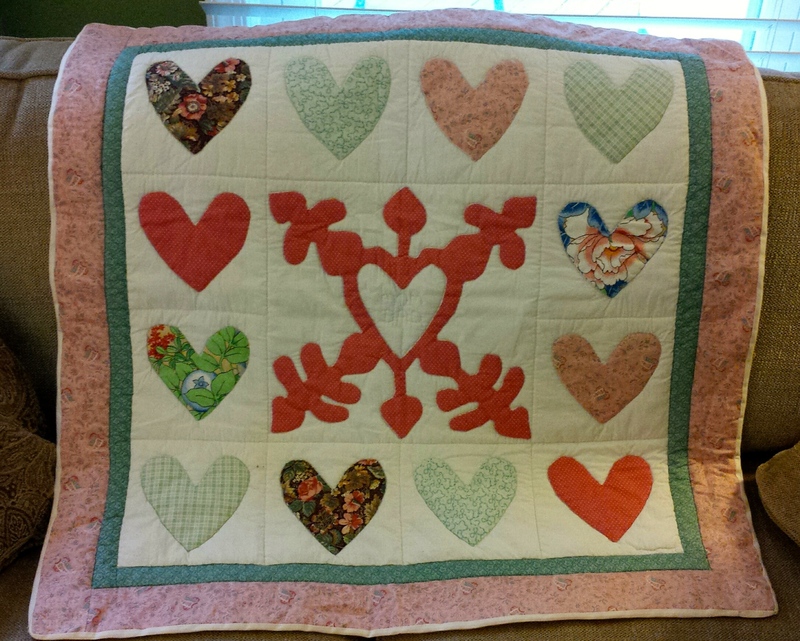 This entry was posted in Art, Crafts, Fabric, Family, Photos, Sewing, Tea and tagged Heart Quilt, hearts, pace maker, quilting, quilts, St. Valentine's Day, strip quilting, tea, tea cozy, Valentine's craft. Bookmark the permalink. Love your quilt and cozy. Happy Valentine’s Day! Thank you! It was fun to remember the other projects from the fabric scraps, too.